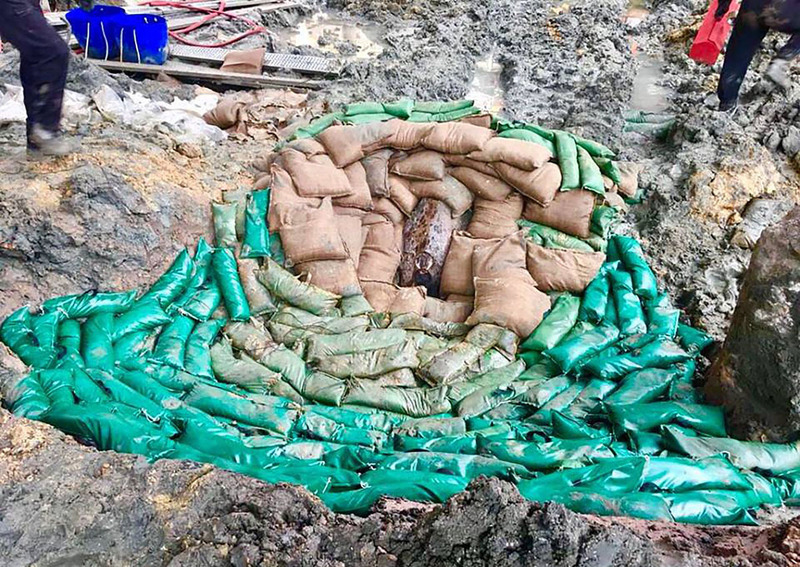 HONG KONG - Hundreds of people were evacuated Friday (May 11) after a World War II bomb was found at a Hong Kong construction site, police said, the third such discovery in the territory this year. 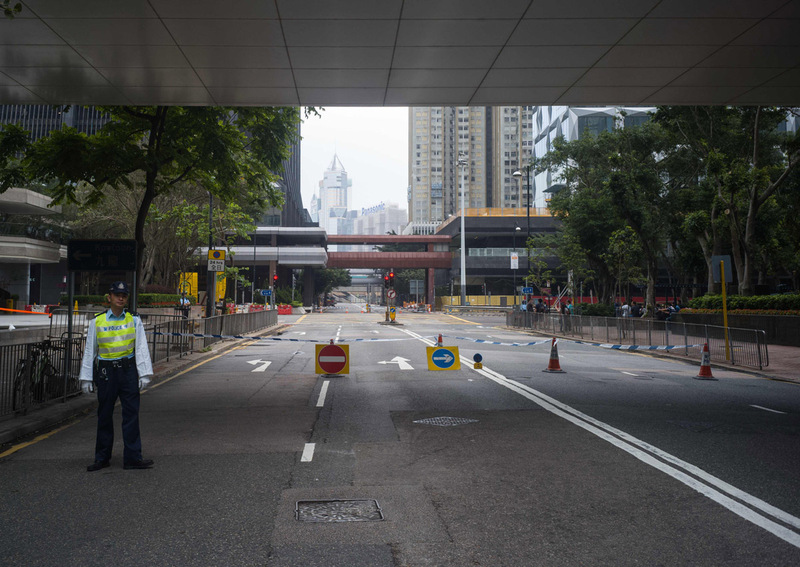 Police cordoned off roads and evacuated some 1,200 people from shops, restaurants and offices in the bustling Wanchai business district as experts sought to unearth and defuse the 450kg (1,000-pound) US-made bomb. The ordnance, which had lay dormant for more than 70 years before its discovery on Thursday, was of the same model as two other bombs discovered in January at the site, where work is underway to build a new metro railway station. "The previous two bombs were horizontally positioned and this one is vertical instead. Two-thirds of the bomb is actually buried underground, we need to unearth at least part of the object before we start our operation," said bomb disposal officer Lai Ngo Yau. "Because the bomb is not stable, we need to do it very carefully", Lai said. Hong Kong saw fierce fighting between Japanese and Allied forces during World War II, and hikers and construction workers still occasionally discover unexploded bombs in the territory. Local historian Jason Wordie said Hong Kong was heavily bombed by the United States in 1941 at the outset of the war's Pacific campaign. "What they were aiming for were the commercial docks across the harbour," he said. Land reclamations to expand Hong Kong's waterfront in the decades after the war turned up a number of bombs that fell in the harbour, Wordie added. In 2016, a hiker discovered six unexploded World War II-era grenades and two mortar shells on a trail near the Happy Valley neighbourhood. In 2014 police defused a wartime bomb weighing nearly one ton, the largest yet found in the city.